Industrial Commercial 25 Amp. 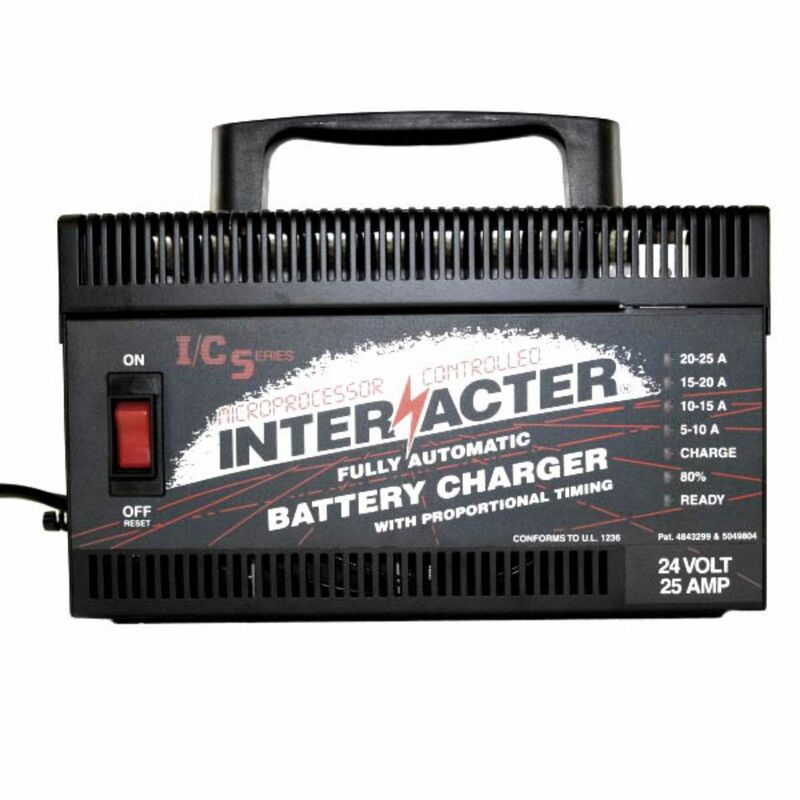 The Interacter ICS series charger puts charging problems in the past. The Interacter ICS series is a high performance battery charger for use in demanding applications where optimal performance and service is critical, such as Golf Carts, Personnel Carriers, and Floor Sweepers. 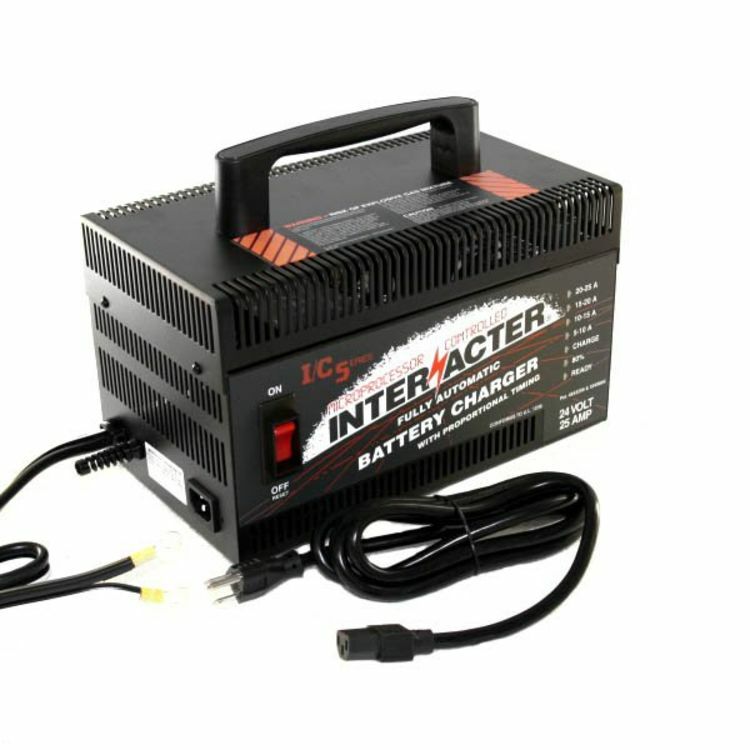 The Interacter ICS series features a patented microprocessor controlled, Three Stage, Constant Current, Constant Voltage system that out-performs all industry standard chargers in the same price range. The internal “battery type DIP switch” can be field set for use with true Gel-Cell, sealed lead acid absorbed (AGM), or liquid electrolyte battery types. 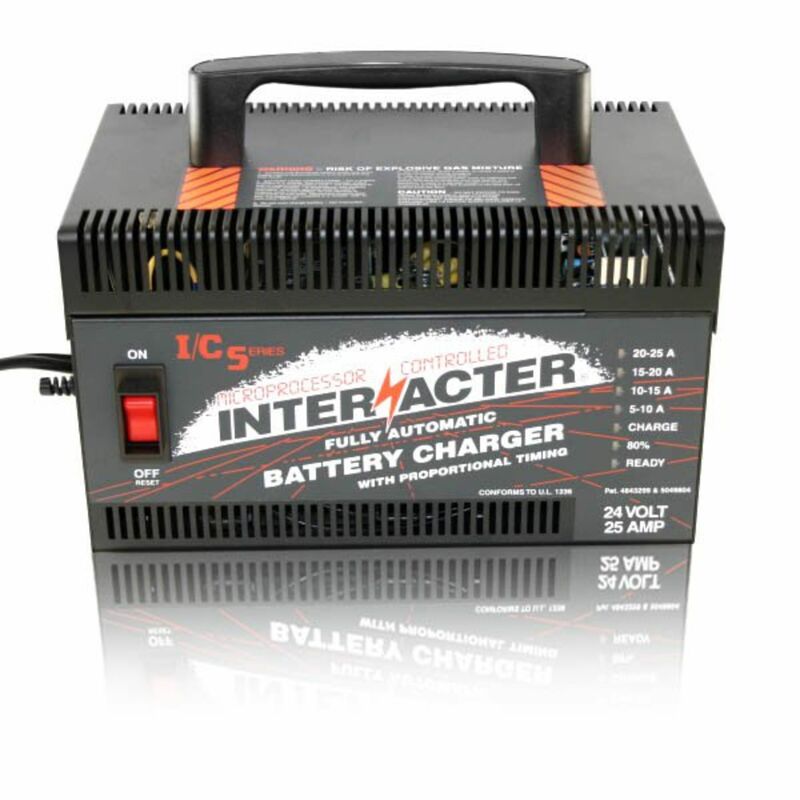 This is a work horse charger recommended for 24 volt battery systems in the 50 to 400 amp hour range. This charger can be used for both bulk charging and long term stand-by maintenance. Do you own the ICS2425? Please, tell us what you think about it. It helps us provide you with better products. Please note that it may take up to 72 hours for your review to appear. Pros: Best Charger I've ever had. Batteries have outlasted the last 2 sets since I got this charger. Very Quiet,LEDs let me know battery status while charging, and float charge mode keeps batteries fresh & ready. Cons: Can't think of any. 2 years now & just like it was when new.